YEStation® hardware is available in two different packages and performance levels, MAX III and our newest 4G. The MAX III features a 1.2 GHz processor for optimal performance and an array of port interface options. 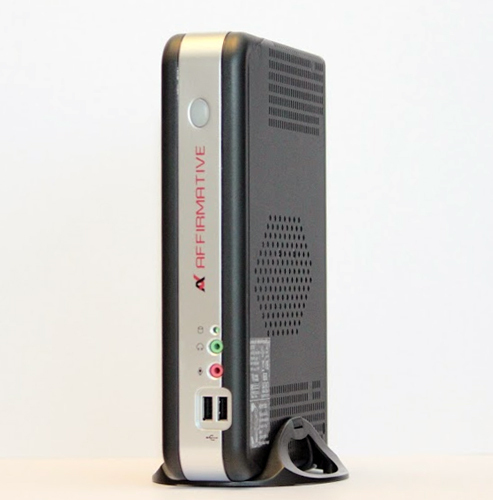 The newest addition is our Citrix Ready 4G Thin Client End Point Protection Device with a Quad Core 2.0 GHz Processor. The YEStation® MAX III is a high performance version using the physical package shown to the left.